HP have been at the forefront of printer technology for decades. 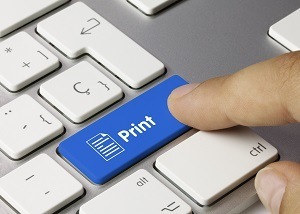 Perhaps their most significant technological achievement was the creation in the late 1990s of an inexpensive, disposable print head that could be built into the ink cartridge of its DeskJet printer. At a time when other inkjet printer manufacturers offered permanent print heads which tended to clog and need replacement, HP’s disposable print head delivered consistently high printing quality over the entire lifespan of the printer. The perfect small business printer? HP Officejet Pro X Series inkjet printers are touted as quiet and dependable, with laser-fast print speeds. HP PageWide technology platform includes a page-wide array of 42,240 nozzles that produce ink drops with uniform drop weight, speed, and trajectory as well as 1,200 nozzles-per-inch native resolution for consistently high print quality. The platform provides precise paper motion control and automatic nozzle health sensing, active and passive nozzle substitution. HP Officejet Pro X Series inkjet printers use optical sensors to calibrate the print head and measure nozzle performance. These sensors sit on a small carriage that scans across the paper and print head. A paper sensor scans printed diagnostic test patterns, and the writing system controller uses this information to electronically compensate for variations in drop volume that could produce visible print artifacts. This sensor also detects the edge of the sheet as it moves into the print zone. A print head sensor, developed specifically for HP Officejet Pro X Series printers, measures individual drops in flight as part of a system that provides robust print quality by substituting good nozzles for those that do not meet operating specifications.